“They take people, keep them for 30 or 40 days, and torture them until they give somebody’s name. Until you [name] somebody, they won’t let you go,” said Azizov Nepes*, a Turkmen graduate student outside of the country who personally knows several of those detained. 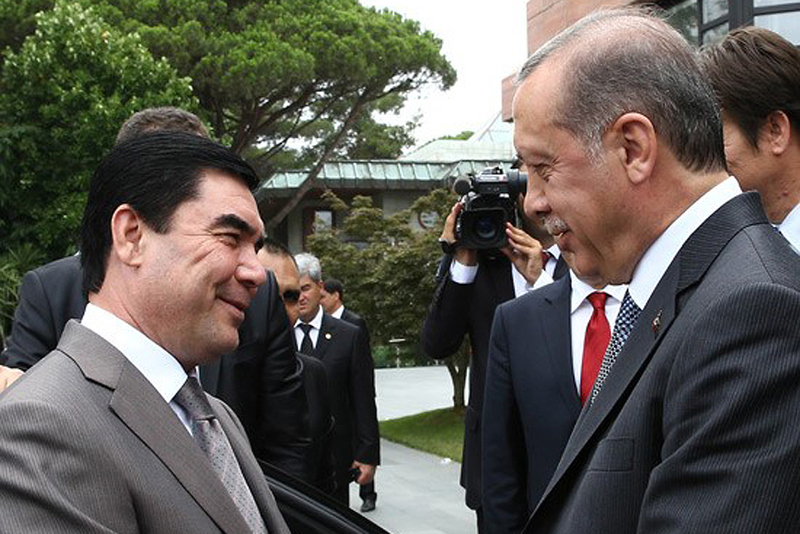 The Turkish government, an important partner for Turkmenistan, accuses Gülen, the leader of a global Islamic movement with deep roots in Central Asia, of masterminding the failed coup attempt in Turkey on July 15. Ankara is engaging in an ongoing purge of alleged Gülen followers at home, and has pressured countries hosting many of Gülen’s followers to crack down on the movement. Some countries, such as Kazakhstan and Kyrgyzstan, have refused to comply, but Turkmenistan appears to be susceptible to Ankara’s pressure. “[Ankara] is a very important partner because Turkey has been a major origin of [foreign direct investment] in Turkmenistan,” said Professor Luca Anceschi, an expert on Central Asian studies at the University of Glasgow. Anceshci said Turkey is one of the few countries to which Turkmen citizens can travel with reasonable ease. It thus plays a de facto role of safety valve, allowing disaffected citizens to leave, rather than stay and cause problems. “At some point you need to let some of the youth especially go and work somewhere else. Otherwise it just becomes a tinderbox,” he said, adding that this was especially urgent now that the country is in the midst of an economic crisis. “In order to keep the access to Turkey open to Turkmen citizens, the government is more likely than not to comply to the dictates of [Turkish president] Erdoğan and his government,” Anceshci said. Geldiyew said about 100 people have been detained and interrogated, and 20-30 people, including teachers, business people and engineers, remain in jail. Many others who e-mailed EurasiaNet.org confirmed these numbers. N.H., a student abroad, said her brother, a businessman and graduate of a Gülen-linked school, was taken in early October. Later in the month, she and her family were able to visit him in prison. “When we met him, he did not say anything about his condition. But it was easily [understandable] from his face and skin that he was exposed to torture,” she wrote in an e-mail exchange with EurasiaNet.org. Activists say torture is widespread in Turkmenistan. “This is one of the very most repressive governments in the world, and even within that context, the authorities have been cracking down very hard, including in the past few months,” said Rachel Denber, deputy director of Human Rights Watch’s Europe and Central Asia division, in an e-mail to EurasiaNet.org. Gülen-linked schools, referred to in Turkmenistan as “Turkish schools,” first opened up in 1993. The high schools, language centers, and university had a reputation for having the highest educational standards in the country, teaching a Western-style curriculum that included English and Turkish, as well as Gülen’s religious teachings. Most of them closed by August 2011, possibly because current President Gurbanguly Berdymukhamedov is said to have a less close relationship with the Gülen movement than his predecessor, Saparmurat Niyazov. “No one knows why exactly. It was suspected that [Gülen followers] were perceived by [Berdymukhamedov] as too influential,” said Victoria Clement, a research scholar specializing in Central Asia at the Woodrow Wilson Center and one of the few westerners to have lived and done academic research in Turkmenistan. Some believed the schools made students more religiously conservative, “behavior that made parents uncomfortable,” Clement added. “More recently Erdoğan has been sending signals about Turks and Turkish schools so that the Turkmen government is now reluctant to hire graduates and very cautious about the ones already working in the system,” Clement said. Nick Ashdown is a freelance journalist in Istanbul, Turkey.